Over the years, and with today’s rapidly changing business environment, organizations generate a huge amount of unstructured content that grows exponentially including documents, e-mail messages, videos, instant messages, Web pages, and more. This content often exists in an unmanaged status that prevents the organization from properly using them for better knowledge sharing, improved customer communications, and increased process efficiency. 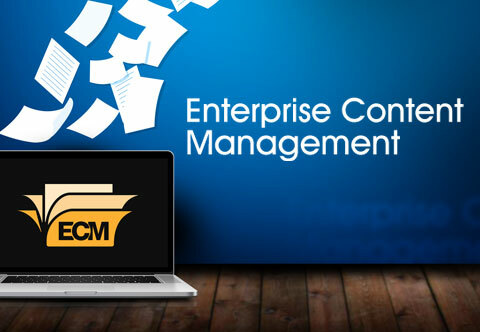 Through its partnership with IBM, IT-Blocks solutions for Enterprise Content Management (ECM) has a long track record with many success stories in helping organizations streamline and automate their business processes, access and manage all forms of content by providing standard solutions for capture, store, manage, integrate and deliver all forms of content across organizations. IT-Blocks elects to use FileNet P8 products from IBM to serve its customers throughout the region. FileNet P8 Platform is the foundation for the integrated FileNet products that helps customers meet the growing challenge of managing enterprise content with greater speed, efficiency, and accuracy, by compromising a document management engine that combines enterprise content, security and storage features with ready-to-use workflow and process management capabilities in addition to great capturing capabilities. IT-Blocks provides high availability services for Enterprises by providing its customers with disaster recovery plan and safety backup plan for their data. Allowing its clients to manage and protect data assets from a single point of control through IBM Tivoli® Storage Manager Components. We use IBM Tivoli® System Automation family to improve the efficiency and availability of critical systems and applications as it provides advanced policy-based automation. IT-Blocks ECM team includes highly professional information engineers certified in different tools to provide highest possible service quality.